You’re playing a 5 seated cash game, seated under the gun. 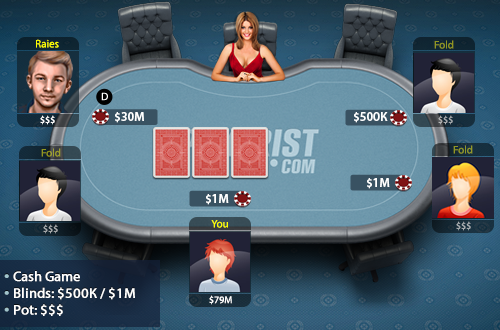 The blinds are $500k/$1m and you are sitting on the table with $80m, calling when action is on you. All the other opponents have more chips than you. A player raises and gets re-raised to $30m and you have suited.